I couldn’t get one of my favorite – and most challenging – life-lessons out of my head during our trip to Haiti last week and then, again, as I was thinking about tonight and Thanksgiving and so much of what the holiday is all about: “Enough is as good as a feast.” It’s a line from Mary Poppins which, frankly, I never remember actually seeing as a child. I only looked it up when one of my seminary professors referred to this moment in the movie like it was something I should just know or remember or understand without much explanation. And the lesson for me in that is, if we can determine what “enough” for is for ourselves, then we are more likely to be content… happy, even… joyful… grateful, for sure… and more generous, more of the time, as a result. Enough of something – if you know what that is for yourself – is as good as a feast. When we put word out that we would be giving away shoes one afternoon last week and men, women and children lined up hoping for more shoes than we had to give away, I was reminded that the piles of shoes – in my garage, by my front door, and in my closet – are more than enough. 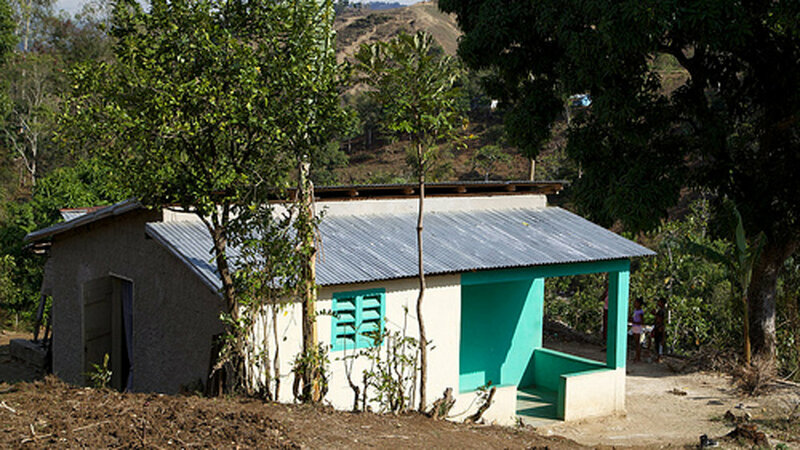 When we sat down to eat, meal after meal after meal of more food than our Haitian hosts are used to preparing for themselves – and as they waited patiently to eat and to share our leftovers, I was reminded about what “enough” looks like. As I helped to paint the three rooms of a 600-square-foot house, like this one, meant for a family of 8 or 10, I was reminded about what “enough” can be, if I would let it. Now I don’t tell you all of this to rain on our Thanksgiving parade as we prepare to feast and to give thanks and to celebrate the holiday this week with our friends and family and all of our abundance. I share all of this because when Jeannie Ellenberger suggested a couple of weeks ago that we bless our bowls and serving dishes and bread baskets as a part of our Thanksgiving worship tonight, I remembered something else I learned a long time ago. Eastern philosophy says the most sacred part of a bowl, or a cup, or a container of any kind, really, is the empty space inside of it. The empty space into which we place things, or from which we take things – the space that has the potential of being filled up or of being emptied – is the most sacred and holy part of a dish or a vessel or a container of any kind. See this idea, along with the notion that “enough is as good as a feast,” makes me realize how much control we have over our gratitude – and the ways we feel about and fill our selves, our lives and the world around us, too. When we recognize the sacred, holy nature of the empty vessels in our lives – bowls, dishes, cups, sure – and I would add closets, drawers, wallets, and the square footage of the rooms in our homes – we are able to be more deliberate and faithful; more generous and sacrificial; more thankful and grateful for the ways in which we fill those places. And we can be more deliberate and faithful; more generous and sacrificial; more thankful and grateful, too, for all the ways we are called to empty them out, just the same. 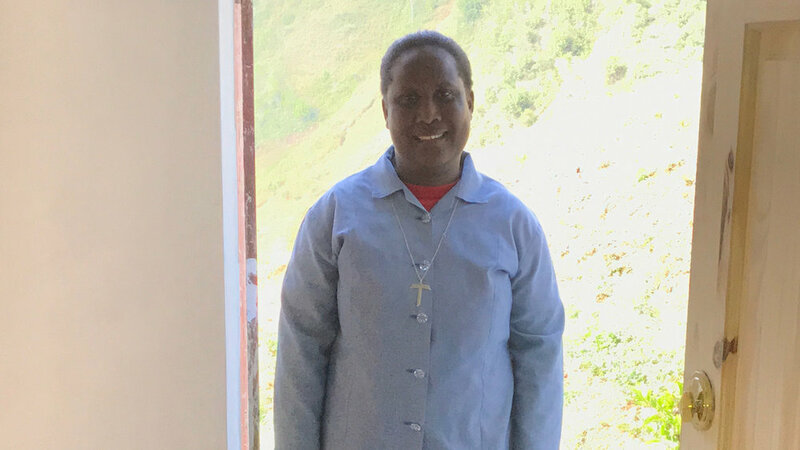 ...the Mother Superior who cares for our mission trippers in Fondwa, who has been to Indianapolis, who knows how we live, and who feeds us and cleans up after us and who humors us, anyway, with more joy and humility and patience and grace than seems natural. ...who was proud to send me pictures of his freshly painted three-room, 600 square-foot house, just yesterday. ...who was as thankful for his gift as he was willing to share it with his friend. May our Thanksgiving be full of heartfelt gratitude for all the ways God has filled up the sacred, empty vessels in our lives. May we find ways to determine what “enough” looks like for ourselves, for our children, and for our families. And when we do, may we give thanks – and mean it; may we rest in the fullness of what God has already provided; and may we find ways to share, ever more generously, whenever our cups runneth over.